Will AI destroy - or create jobs? CCS Insight report claims that many workers actually believe AI will help create jobs. Not everyone sees artificial intelligence as the destroyer of worlds, or in milder cases – destroyer of jobs. Many people, particularly Millennials, are confident AI will instead create new jobs in the future. 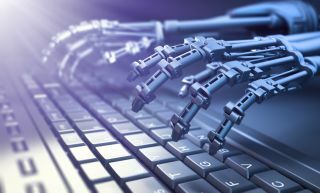 That's is according to a new report by analyst firm CCS Insight, which found that many workers believe AI will automate mundane work tasks and boost productivity and collaboration applications. The report, which polled more than 650 employees, found that more than half believed this profound change will happen within three years. A larger portion, however (70 per cent), believe this will happen within the next decade. CCS Insight's vice president of enterprise research, Nick McQuire, comments, "Despite many reports painting a bleak outlook for the impact of AI on the job market in recent months, our survey reveals rather positive attitudes to the technology, both as a job creator and an enabler of work. Employees are drowning in a sea of data and digital technology. Rather than destroying jobs, AI is seen as a tool that could help us work smarter and better in the future". However, that doesn't mean people aren't sceptical of artificial intelligence, as it is today. Most don't believe the technology is fully capable of being as accurate as a human. Others don't really understand how it works just yet. Respondents believe Google is the current market leader, with Apple, Microsoft, IBM, Amazon and Facebook all being relatively close. "Our 2017 annual employee technology survey continues to measure the major technology shifts occurring in workplaces, but it also reveals some new and fascinating trends that are set to unfold over the next few years", says McQuire. He adds, "Contrary to a slowdown in the consumer smartphone segment, business use of mobile technology is flying, and we're seeing employees becoming much more aware of areas like artificial intelligence and cybersecurity that will reshape businesses in the future."